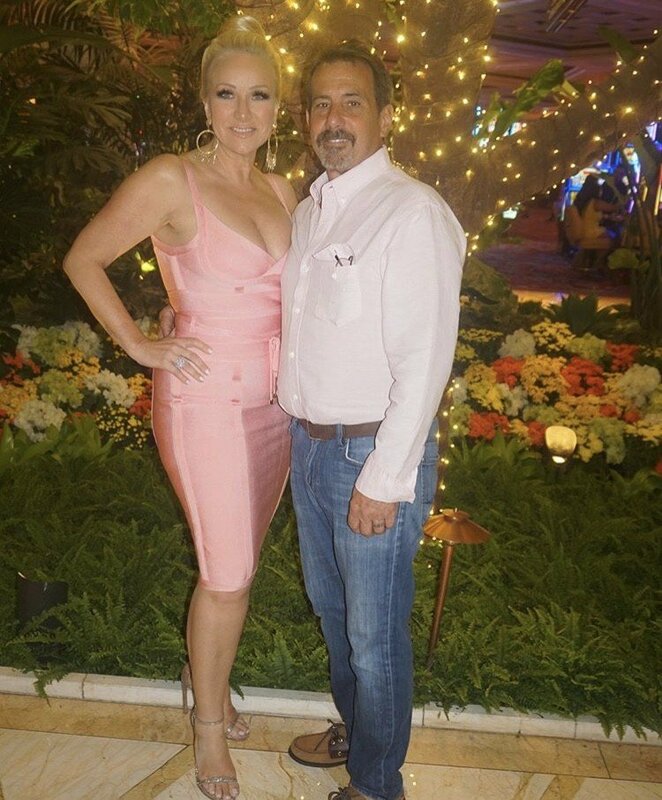 Just like the Housewives who came before her, Real Housewives of New Jersey star Margaret Josephs is busy building up her empire. She has had her Macbeth Collection before she joined the show and now she’s expanding. Margaret launched a new line of beauty products at a convention in Las Vegas and she documented the trip with photos- of course. Here we are at the finish line of a cuckoo season of The Real Housewives of New Jersey. 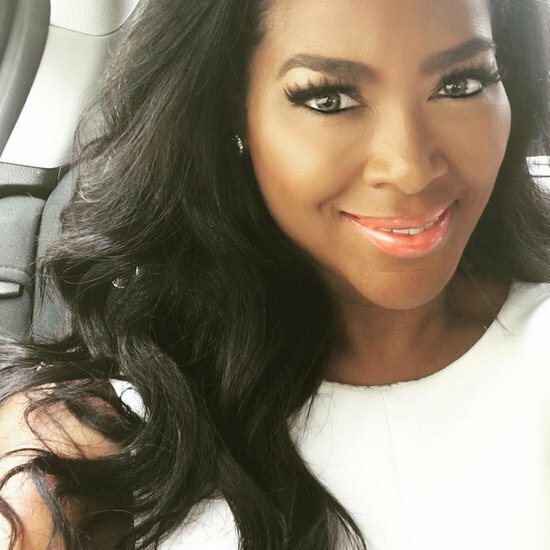 In the spirit of Real Housewives Reunions past and present, we must pay homage to all of the fights, cake throws, and anti-Semitic slander that went down. Since we’ve already lived through it once, why not do it all over again? Warning: There are split screen throw downs and Release the gimp! moments in store (i.e., Kim D makes an appearance). It’s GO time! First things first, the attire. 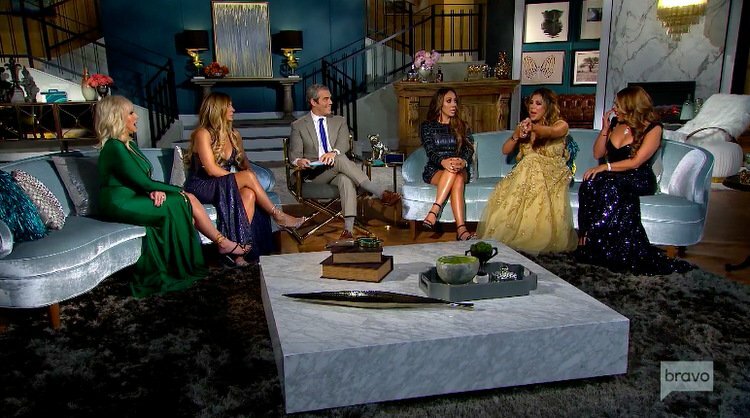 Melissa Gorga, in my opinion, wins best in show for this reunion because she went for cocktail chic instead of junior prom night circa 1995. Controversial opinion: Margaret Josephs comes in second, if only because that shade of green is perfection on her, and I’m loving the noticeable absence of pigtails. Teresa Giudice is looking very…Teresa, which is pretty damn good for someone who struggles valiantly against the gravity of her hairline. Meanwhile, Danielle Staub, Siggy Flicker, and Dolores Catania bring up the caboose of this fashion(ish) show with fullly engorged bubbies On Display! On Display! On Display! in more bronzer than the smush-room of the Jersey Shore house ever saw. Let’s hope these couches get a good dry cleaning after this sh*t goes down. A new weekend means a new gallery of reality TV stars social media pics! Look below for pictures of Kelly Dodd and Vicki Gunvalson at the Reality TV Awards, the Married to Medicine premiere party, Peta Murgatroyd‘s baby bump, Kyle Richards and Mauricio Umansky in Pebble Beach for a wedding, Teresa Giudice and Melissa Gorga at Melissa’s boutique Envy, and more. Below you will find pics from Ashley Darby, Bethenny Frankel, Josh Altman, Kyle Richards, Vicki Gunvalson, Lisa Rinna, Stassi Schroeder, and more. With less than a week to until the premiere of Below Deck Mediterranean, Bravo celebrated with a big bash last night in NYC. The cast members partied it up with some of our other favorite Bravolebrities. Southern Charm co-stars Landon Clements and Shep Rose walked the blue carpet together and so did the men of Vanderpump Rules, Jax Taylor and Tom Schwartz. Ramona Singer must be over her aversion to being seen with Sonja Morgan because the former Real Housewives of New York besties were pretty chummy in these pics, along with co-star Carole Radziwill. Carole hit up this party and then rushed off to appear on WWHL with Ryan. Even Captain Lee turned out to hang with the new cast members in attendance: Captain Mark Howard, Bobby Giancola, Ben Robinson, and more. To soften the blow of the cancellation of NeNe and Kim: The Road to Riches, Bravo is giving us Reza Farahan and Tabatha Coffey. They won’t be on a road trip together, because I would like to think not even Bravo would do that to our beloved Tabatha, but they have each scored a potential new show. Bravo announced three new shows in development yesterday – Yours, Mine or Ours (same premise as Love It or List It on HGTV), Heir Heads, and Tabatha’s Life Take Over (similar to Iyanla: Fix My Life). Check out the press release below and let us know which of these new reality shows you plan to watch.